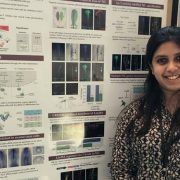 Debadrita Bhattacharya, a second year student in the Simoes-Costa Lab, won “Best Poster” at the Cornell Stem Cell Symposium. Her poster was on “the pluripotency factor Lin28A modulates the neural crest gene regulatory network”. 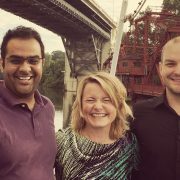 Aravind Sivakumar, a recent PhD graduate of the Kurpios lab, won the best trainee talk at the International Conference on Hyaluronan (ISHAS). He was also the recipient of the Mark Lauer Award, presented at the ISHAS.